FOR IMMEDIATE RELEASE CONTACT: Tony Taylor, Executive Dir. LITTLE ROCK - Over four days (March 11 - 14, 2015), the Film Society of Little Rock presented the inaugural year of Fantastic Cinema, showcasing some of the best independent genre films from around the world at The Studio Theatre (320 W. 7th St, Little Rock, AR 72201). During those four days audiences watched 31 films from 18 different countries which included 1 World Premiere (Shiner), 5 North American Premieres (Children’s Show, Phoenix, Selkie, Tanatopraxia, & The Substitute) and 10 Regional Premieres. While the audiences were watching the films, a team of judges from various parts of the United States were also watching. Serving on the Grand Jury were Jonathan & Michael Cuartas, Joel Froome, Sarah Jones, Andrew & Matthew McMurry, and Justin Robinson. Jury Notes: "A strong script coupled with fantastic cinematography. A brilliant descent into madness." Jury Notes: "Finally a slasher film that actually tries. Cub brings a fresh voice to the genre." Jury Notes: "I'm amazed at the performances the director got from such a young cast. These are characters you actually care about and that makes their journey so compelling and hard to watch." Jury Notes: "Brilliantly haunting with sleek direction and compelling performances. The tone of the film was extremely powerful, hitting a note not many do." Jury Notes: "Beautifully heartbreaking, the director deserves props for getting those performances out of such young actors." "I was really impressed at the excellent selection of films. These are movies that you won't normally get to see in Arkansas. Picking the best film out of all of them was not an easy process," said coordinating judge Sarah Jones. 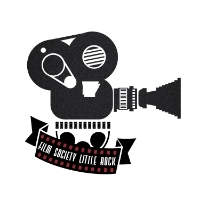 For 2015, Film Society of Little Rock was thrilled to be partnering with several local businesses to bring Fantastic Cinema to Little Rock, including The Studio Theatre, Agency 501, Lost Forty Brewery, Big Orange, Local Lime, ZAZA Fine Salad + Wood-Oven Pizza Co., Allegra - Marketing • Print • Mail and Digital Dojo. Older PostFANTASTIC CINEMA: A Closer Look at the Opening Night Feature "The Man in the Orange Jacket"